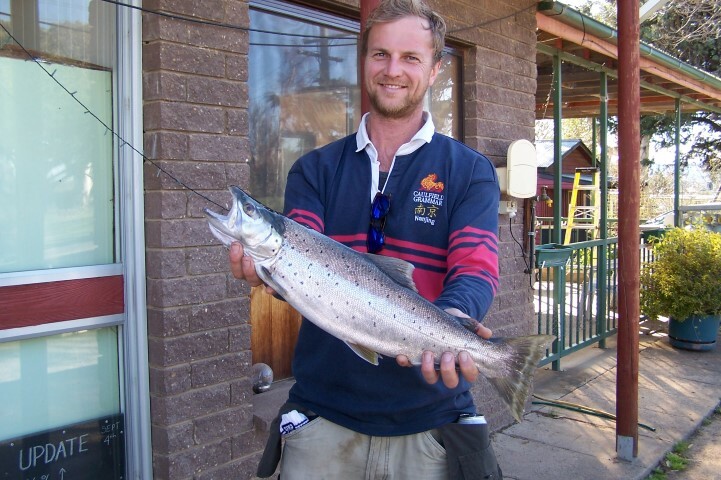 Peter from Braemar here with a fishing report for the week ending September 18th 2016. Some great results were reported across the Park and district over the past week or so, there were also some fishless outings for a few anglers, particularly over the past weekend which was very disappointing indeed. Early week saw many fish being caught and reported, once again Ben Tickle did well in the fly department landing another 2 kilo Brown on one of his self tied matuka on a cloudy calm early afternoon sortie, Michael Wilson also had a good session using midge pupae landing 4 nice rainbows in about an hour before the rain hit on Wednesday, that was pretty much the end of the fly fishing for the week. The trolling brigade struggled badly all week, it did just not happen in our part of the Lake and in any of the trusted areas close by, Jim and Philip Evans from Ballarat trolled for 3 days with only one fish encountered which got off at the boat, the Whales party also struggled for results trolling and resorted to bait fishing at the weekend for mixed success. 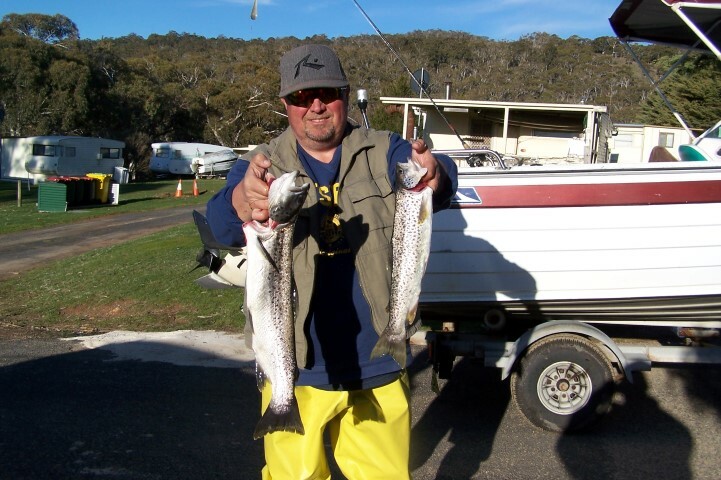 Peter Lalor and Gavin Cox from Coolamon way also had a horror stretch trolling, only landing one fish for their 3 day trolling efforts, whilst Arthur Harrison and Vernon Lewis went against the trend and managed 6 Rainbows and 3 Browns up to 1200 gms trolling around the front of Coppermine and Collingwood Bays in heavy rain, their best lures were Tassie’s # 129 # 111 # 50 and # 44, also some encouraging results trolling came from the Granger party who managed 6 Rainbows on a rainy cool morning near the Dam wall up to 900 gms, all 6 fish came from different lures so it seems trial and error has some merits. The Torpy party had a very lousy trip this year with all 7 anglers drawing a blank on their 2 day stay, the weather was very ordinary but their efforts trolling, bait fishing and lure casting failed to attract any fish at all which was very disappointing indeed, the Whales party started off slowly but eventually had results bait fishing with Gary landing 3 nice fish with one Brown going 1730 gms, the local brigade led by Daryl Suckley enjoyed mixed success over the whole week, Daryl did manage a nice Brown of 1209 gms on worms while Vic Lomas and Max Gengalacki have yet to bother the scorer. 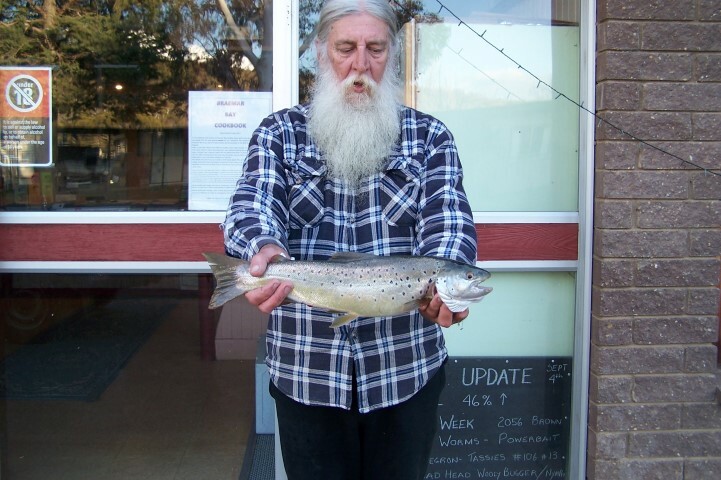 Reports suggest that the fish are still lurking close to the banks so it seems that persistent and a run of fine calmer weather may bring them on a bit, but you just never know at Eucumbene lure casting will definitely be worth a try for a while yet and the bait fishing particularly with worms will really fire up soon. 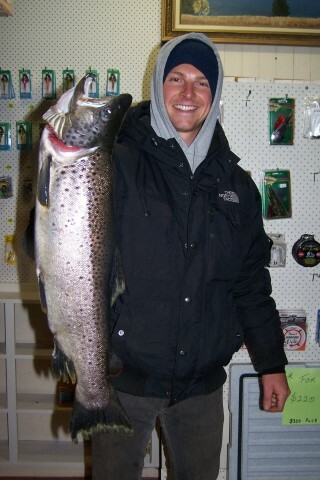 Pictured below are Daryl Suckley with his 1209 gms Brown. Gary Whales with his 1730 gms Brown and a 758 gms Brown. Simon Kars with is 2219 gms Brown and his brother Luke with a family best Brown of 2292 gms. 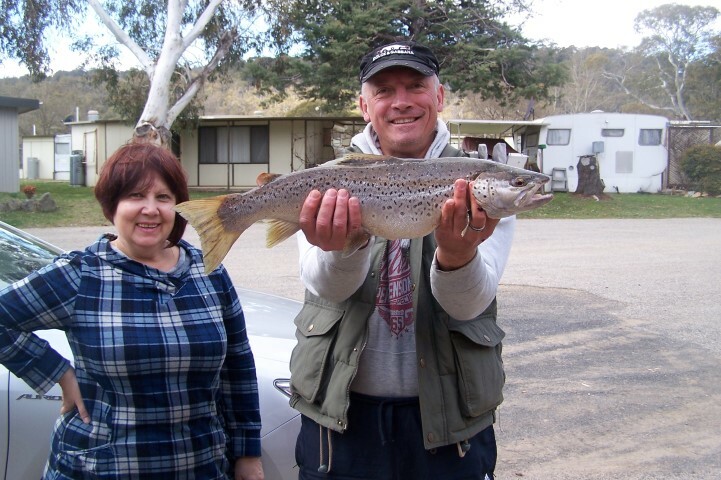 Ina and Sergey with another 2 kg Brown.